Associate Professor Yi-Chun Du of the Department of Electronic Engineering, Southern Taiwan University of Science and Technology, won the 2018 Teaching Award of National Industrial Vocational Education Association. 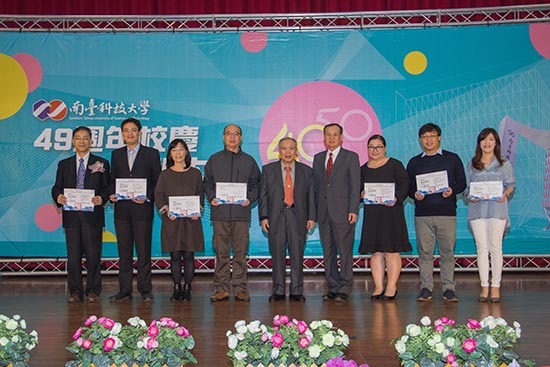 The 2018 Teaching Award, organized by the National Industrial Vocational Education Association, was held at the National Taiwan Normal University. 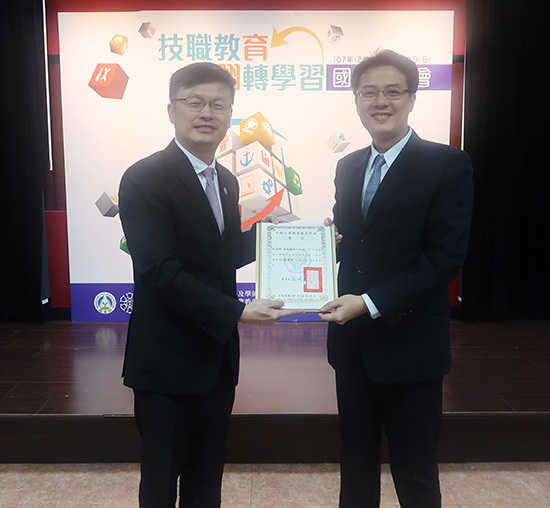 Associate Professor of the Department of Electronic Engineering, Southern Taiwan University of Science and Technology, won the Teaching Award. Prof. Du was also the best teacher of Southern Taiwan University of Science and Technology this year. With his excellence in teaching, Prof. Du can be a great model for teachers. The National Industrial Vocational Education Association was established on June 10, 1962 to study industrial engineering academics, promote industrial engineering technology, promote national economic construction, and improve the productivity of the industry. The Teaching Award is an award for academic research. It was established with the recognition of outstanding industrial vocational education personnel. The four major awards are the Research Award, the Teaching Award, the Administrative Award, and the Promotion Award. The Teaching Award is for teachers who make great contributions to industrial vocational education. Prof. Du Fuqun has taught in STUST for only five years, but his teaching innovation is dynamic and has excellent interaction with his students. Students can often feel his care and consequently full of enthusiasm in the learning process. Prof. Du values PBL (Problem/Project -Based Learning) teaching and motivates his students to develop empathy. He often leads students to correct learning, cares for the disadvantaged at remote primary and secondary schools, exerts his personal influence, and implements the university's responsibility in the local area. He works on teaching, counseling, research and development, cooperation with industries, etc. He has performed very well and has won the International Outstanding Inventor Award, the National Taiwan University of Science and Technology, the National SUPER Teacher Special Award, the Tainan City First Prize, and the Ministry of Education Campus Teacher. He spares no effort in guiding his students in innovation and entrepreneurship and have had brilliant performances. Prof. Du effectively integrates the resources of industry into his teaching, stimulate students' interest in learning, and help them find the goal of reading. Moreover, he also determines the target and then responds to the practical needs of the industry, encouraging the production of the thematic projects and participation in competitions. Thanks to his efforts, students can adapt their strengths, link themselves closely with the industry, and cultivate their power for future employment. Ming-Chun Tsai, chairman of the Department of Electronic Engineering, Southern Taiwan University of Science and Technology, said that in addition to his own creative teaching, Mr. Du also uses such technological tools as VR virtual games to bolster his teaching, so as to help students actively learn after the classroom. He also strives for cooperation with enterprises, employing industry-university cooperation and government plans to provide students with more supporting systems and increase the opportunities for students to work properly. Over the past five years of his teaching work, he has directed 105 student, who won awards over NT$ 6.4 million dollars and NT$ 2.16 million dollars in production and technology. He also hosts several government projects and counseling students in setting up two derivative companies for South Taiwan University of Science and Technology. Prof. Du is a great college teacher who will integrate together innovative teaching, industry-university cooperation, and research and development.